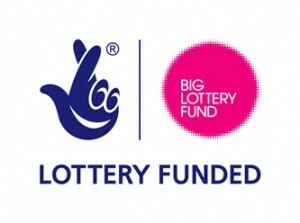 To receive our funding, Allenton Big Local has had to follow the steps of the “Big Local Pathway”. Initially a steering group was formed which consisted of local residents, organisations and agencies. With the help and advice from a Big Local representative, this steering group helped to progress through Steps 1 to 3. Since January 2011 there have been questionnaires, press articles, leaflets, community events, a short film, and a range of other events as part of the consultation process. The first stage is to engage the local community in conversations about what matters to them about the local area and to spread the word about Big Local and make sure local people know how they can get involved. This stage is about thinking about how the area might change for the better in the future. What do people want to change? What do people like? At this stage, not everyone’s vision will be the same and the idea is not to arrive at a shared community vision yet but to find out about hopes for the future of the area. Once community visions have been collected from people in the community ,the next stage is to create a local partnership. The role of the local partnership will be to support inclusive and continuous community participation. Membership of the local partnership can change over time in response to local needs and it will be reviewed at least annually. The next stage is to move from a range of community visions to a shared long term vision for the local area and create a long-term plan based on this vision. The plan will respond to local needs and priorities and meet the outcomes of Big Local. The plan will set out clear aims, objectives, actions and indicators and a series of clear and attainable outcomes for short medium and long-term change in the area. It will include a funding profile including grants, social investment and procurement to show how the area will use its money. The next stage in the process is to begin delivering a range of activities to help achieve the outcomes set out in the community plan. Delivery activities might include a grants programme within the local area, social investments such as personal loans, micro finance, small business and civil society loans or the commissioning of services. Local partnerships will decide whether there is a suitable local trusted organisation they wish to nominate and endorse to deliver their funding (grants or loans) or if they wish that to be done centrally. We need to learn from our activities, assess impact and feed this into the review of future activity. It is more than counting outputs, but looking for how investments in people and organisations are producing meaningful outcomes in the community. The Partnership will create monitoring and reporting mechanisms and carry out reviews and self-evaluations to ensure that we make progress towards the outcomes identified in the plan. The group will submit reports indicating progress, key activities, accomplishments and the status of any funding distributed. The local partnership and community plan will be reviewed annually. The impact assessment will be used to ensure open, critical reflection on how the local partnership is working to achieve the outcomes set out in the community plan. The review will check whether the community plan remains relevant and continues to address the local area’s identified priorities is meeting Big Local outcomes.